Halliday Wine Companion magazine offers a uniquely approachable take on wine, food and travel. Published six times a year, the magazine features articles by James Halliday, the most sought-after wine reviews (100 new release tasting notes in every issue), travel features through the great wine regions of the world, plus amazing recipes and wine matches. The digital version of Halliday Magazine provides a digital magazine platform with all the stories, photos and artwork intact. The easy-to-use interface lets you flip leisurely through the pages like a newspaper, or conduct custom searches and share articles. Download the ePaper and read it anywhere - on your commute, at your favourite coffee shop or at home. Get the Halliday magazine delivered right to your computer, mobile or tablet everyday. Choose how you want to experience Halliday magazine publications. You can upgrade or cancel any time. Halliday magazine digital is full of interactive features to engage and delight news lovers. Familiarize yourself with each one of them and enjoy the benefits of an enhanced news consuming experience. Yesterday’s paper or other back issues are just a click away. Read stories in your news feed on one device and pick up where you left off on another. Subscribe and authorize your devices with one account. 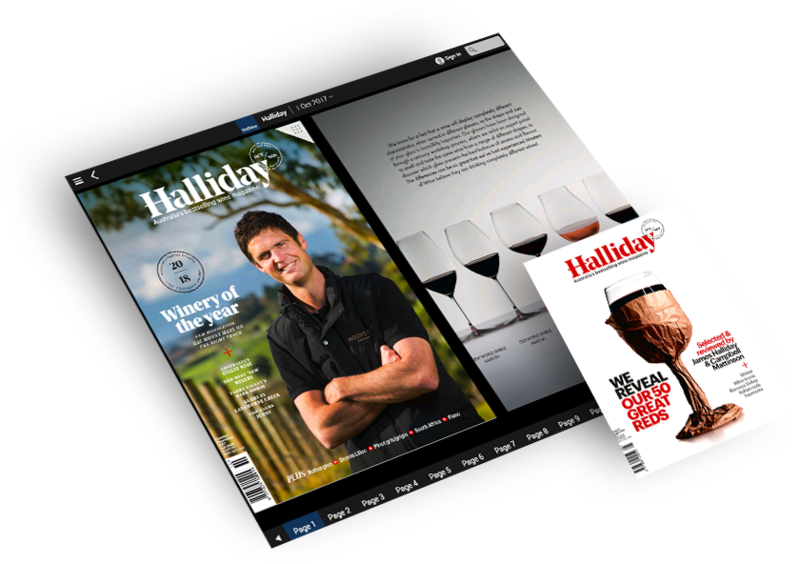 ENJOY YOUR HALLIDAY MAGAZINE DIGITAL THE WAY YOU WANT IT!